Dacromet process main application products_Industry knowledge_Xinxiang Cuiyuan Auto Parts Co., Ltd. The Dacromet process refers to the technology that replaces the traditional electroplating, hot-dip galvanizing and other serious pollution. The Dacromet process can not only deal with steel, aluminum, iron and other alloys, but also can handle some special materials. In the transportation industry of automobiles, motorcycles, electrical appliances, etc., it not only improves the quality of products, but also protects the ecological environment. The main applications of Dacromet's technology are: 1. Metro tunnels, railways and other metal parts, subway tunnels and railways are underground, the environment is dark and humid, the ventilation is poor and easy to rust, so the Dacromet process is generally used. 2. 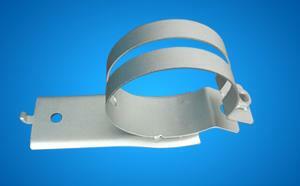 Due to the long-term outdoor sun and rain, the metal parts of highways and port machinery will soon appear rust. Every once in a while, the original paint will be smeared and reapplied, and it is not too beautiful, which greatly reduces safety. degree. With Dacromet process coating technology, it is not only durable, but also aesthetically pleasing. 3. The metal parts and structural parts of the transmission and distribution power supply, although they all use the Dacromet process, the one-time investment is too large, but the durability is strong, saving the cost and procedure of future maintenance. Previous: Dacromet manufacturers with you over the Dragon Boat Festival to eat Zongzi!